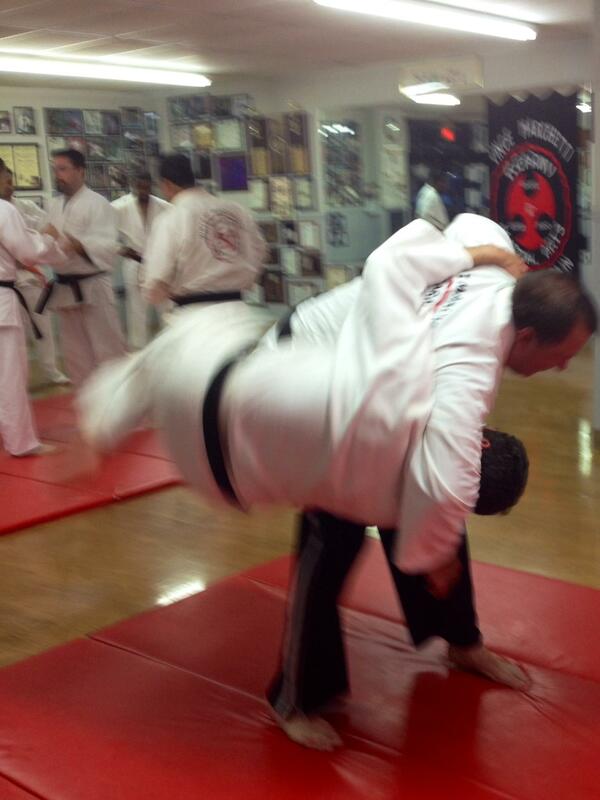 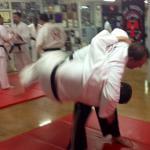 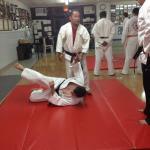 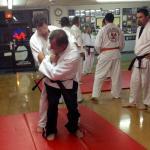 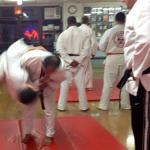 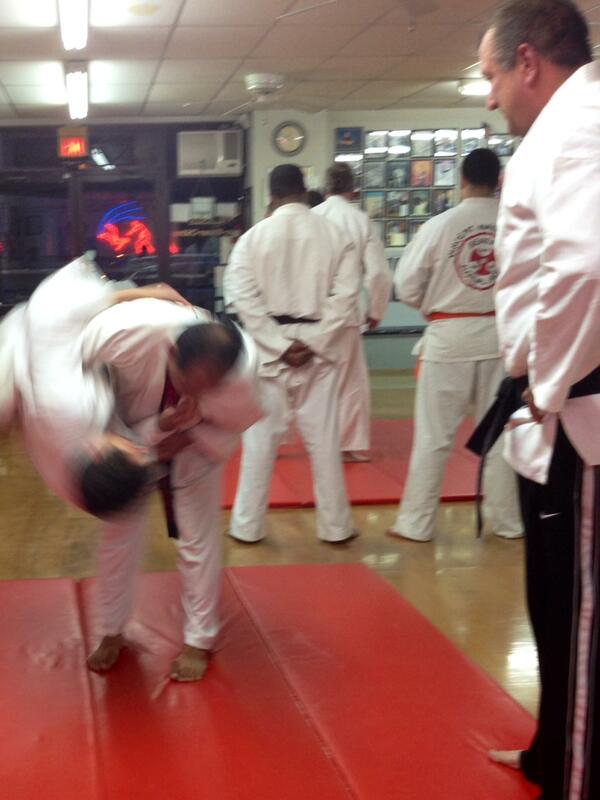 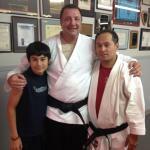 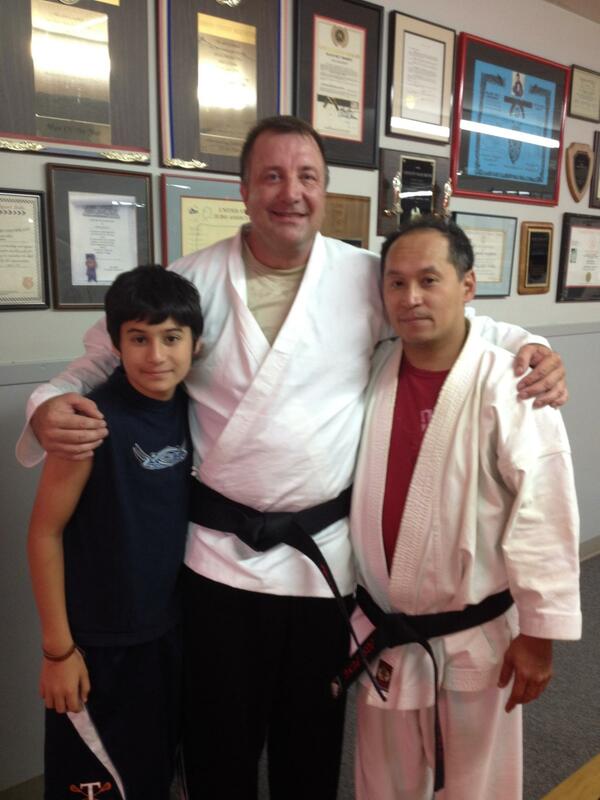 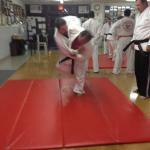 Last night, the Kearny Martial Arts Dojo had the pleasure of a visit from one of its Black Belts, Jeff Graf. 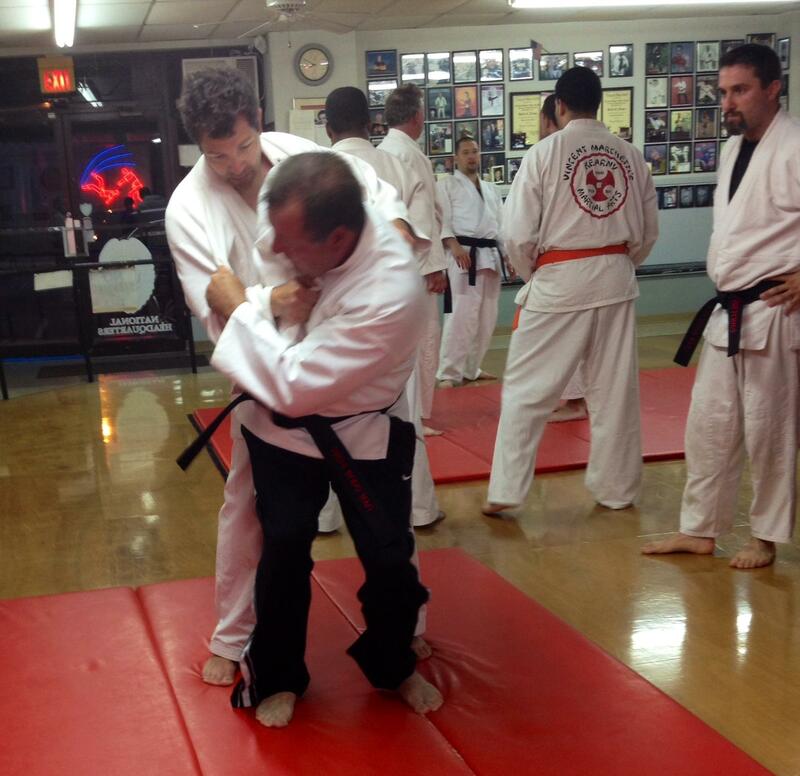 Jeff was in the area working with the NY Police Department to train some of their units in special tactics. 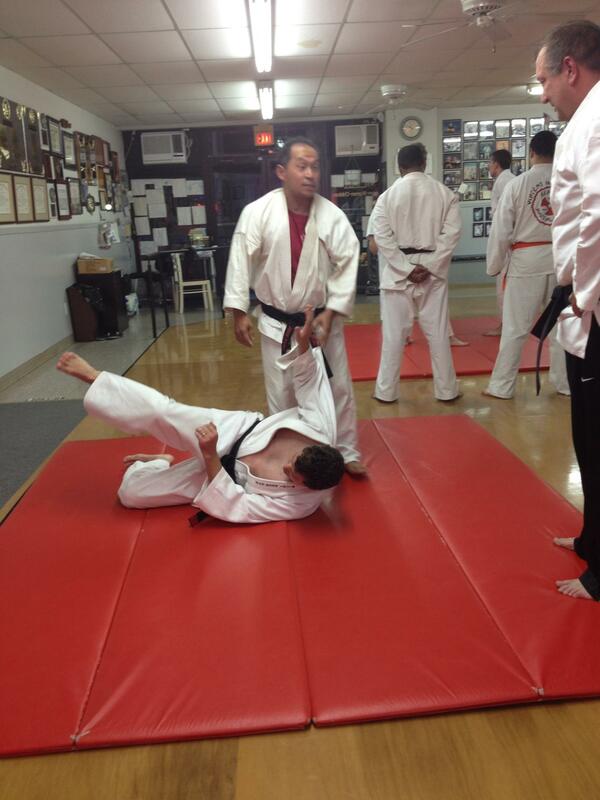 As he has on many occasions, Jeff attends the dojo whenever his training schedule permits. 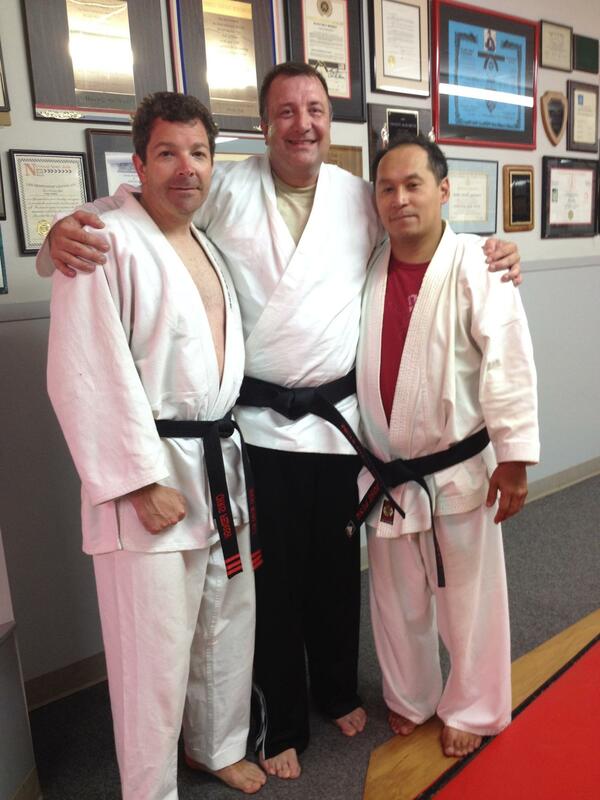 During his visit, Jeff worked out with Sensei Chris Fedosh and Sensei Joe Pung on a number of Judo throws and Ju Jitsu techniques. 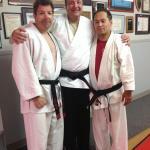 You can read more about Jeff’s career and biography in the military and martial arts in the book “Tough Guys” by Jeff Wyatt. 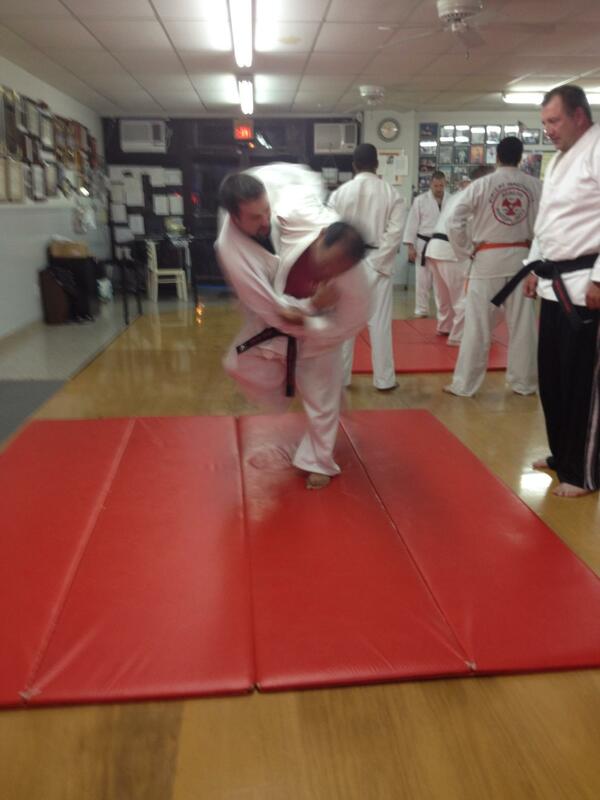 Pictures of Jeff’s visit are posted below.